I just went to order my holiday groceries and, wouldn’t you know, all the delivery slots are full! Guess this year I’ll just have to print out that shopping list and head to the supermarket myself, trying to strategize my visit for when the crowds are minimal (definitely NOT on the 24th). It’s not so much the shopping I mind as the stress of remembering everything I need (a list certainly helps with this) and making sure I have a place to store it all. 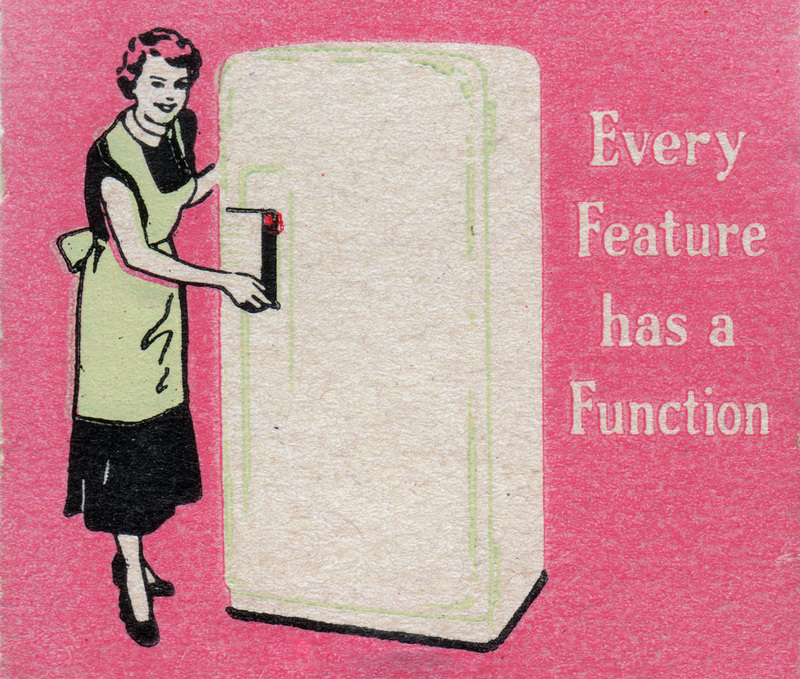 Which brings me to dwell, for a moment, on that underappreciated workhorse of the holiday season – the humble refrigerator. Whether you have an American- style behemoth or a compact European number in your kitchen, at the holidays we all end up playing Tetris with the groceries. More often than not this season our fridges are quickly filled to bursting, which all-too-often leads to spills, squished items, and sides and garnishes tragically forgotten because they were hidden under the excess of holiday goodies. Clear the fridge – toss out the expired condiments (or those you know won’t be used again), the leftovers that will never be eaten (or plan a dinner of leftovers for tonight) and vegetables forgotten and rotting in the chill drawer. Don’t forget the freezer – make room by repackaging food items into freezer bags and eat up those leftovers ahead of your guest’s arrival (see the above leftover dinner for tonight – won’t it be nice to have a break from cooking in advance of the big day?). Clean the fridge – take a few minutes and wipe down the surfaces of spills and crumbs. You’ll be amazed at how much more in control you feel. Are you beginning to see the light? Create your shopping list – When everything is grouped together you can quickly assess what’s missing and add it to your list. For the holidays, if you have the room, you might want to grab twice the amount of staples you usually would at the store to keep from running out (and having to run out) in the middle of the action. I suggest having your holiday menu(s) written down next to your shopping list to ensure you grab all the items you need; breakfast, lunch and snacks, too. With your newly-organized fridge and your grocery shopping complete you should now be able to find plenty of space for everything in the refrigerator. And once your guests are gone and the treats are consumed, this is an easy 5-step process to maintain throughout the year. In the United States, my native land, the slow march towards Christmas begins as soon as the Halloween trick-or-treat-ers lay down their sugary little heads on October 31st. Here in the Netherlands, it’s as if someone flips a switch on 6 December, and the season arrives. With Sinterklaas’ departure back to Spain (to the delight of nearly all parents) we store away our Pieten mutsen, eat the last of the pepernoten and pull out the boxes of Christmas decorations. SkyRadio starts playing Christmas carols in heavy rotation and across the nation trees are purchased, raised and decorated. Christmas is here! Yes, you can’t walk into a store in this week without tripping over Christmas cards, Christmas lights, and every type of Christmas decoration and frill imaginable for your home and garden. For those that work long days, garden centers have extended hours so that you can spend your entire evening searching for the perfect tree and everything you need to trim it. And while you’re there, why not stock up on the newest trends in holiday decoration? Fur rugs in which to sip your cider? Check. Animatronic deer to ring in your rugged yuletide? You bet. The sparkle and allure, the smells of the season (oliebollen anyone?) are all so enticing. They draw you in and send your brain into purchase mode, for don’t we all want to capture that spirit in a bottle (which you can usually do at check-out!)? I love the Christmas season. I miss the electric feeling in the air between Thanksgiving and Christmas you get in the U.S., the feeling that every moment of this time of year is special and magical. To compensate for that absence here (I think), I’ve usually gone to extremes in decorating my home for the holidays. Every window sprayed with fake snow, stockings hung from each doorknob, all available wall and horizontal surfaces set in red, green and white. You name it, I’ve bought it. But in recent years there’s been a shift within me; a need for a calm and restful space during the holiday season. The onslaught of Christmas decorations can so easily go from creating a cozy, wonder-filled home to actually encroaching on our personal space, creating a frenetic environment that’s anything but restful. I began to wonder if maybe my approach to Christmas decorating was having the opposite effect from what I was hoping to achieve. Could it be that the flash of all my festive trimmings was leaving my eyes too dazzled to find those quiet, magical moments? Maybe it was time for a different approach. Sift through your decorations and set out only the items that you immediately love and/or have a home for in the coming weeks. Any broken items? – immediately discard. From these initial items, is there a theme/style or color scheme to follow? Keep to this theme, style, and color/s, and build on it. Our taste in decorations changes with the trends, the years, and our budgets. Sell, donate or discard anything outside of your current style. Start by adding a few decorative items and then stand back. Experience it, live with it for a few hours or a day. Are you still at rest; is it enough or do you want to add more? Proceed with caution adding a little each day. Christmas dishes? Store them in your kitchen cabinets and start using them right away. Why save them for Christmas Eve? Enjoy these items while you can. Bring out the Christmas tree decorations once the tree is ready. Anything broken? Immediately discard. No longer your style? Get rid of it. Get decorating, then make a cup of warm cocoa (or something stronger), sit in your comfy spot and enjoy getting this far. With the tree in its prominent place of honor your home should be feeling sorted. Feeling you need a little something more? Consider a poinsettia or other holiday plant, candles, a bowl of pinecones or a festive tablecloth which covers a large surface and can finish off a space, as long as the pattern isn’t too busy. Small touches can have big impacts. The key here is to add slowly, making conscious choices that enhance your enjoyment of the season yet allow your home to remain a place of rest and retreat, so necessary at this hectic time of year. And keep your wallet closed, at least for a few days. 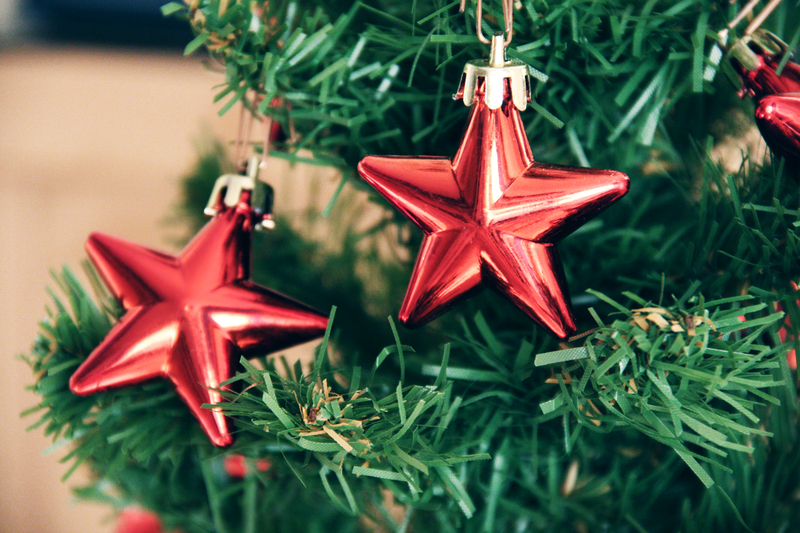 Once you’ve decided on your style and decorated with your existing items, sure, maybe you do need a new tree topper or glittery ball collection to finish things off. Just remember to spend less time on the decorations and more time on you. Treat yourself to something relaxing because in these next few weeks you are going to need to recharge every chance you can. Now…where did I put those Christmas cards? It’s that time of year again: the influx of toys, candy and treats into our home, and into the eager little hands of our two children, has begun. As a mixed Dutch and American family we celebrate two complete sets of traditions from Halloween through to the New Year. That is roughly one new holiday every two weeks! I love holiday traditions and the mark of the seasons, and we always take time to decorate our home for the holidays, partake in local events and make special treats, all in the spirit of experiencing the joy and excitement of the season to its fullest. Experience-that is the key value for me. Frustratingly, though, the experience of the season is being drowned out by stuff, stuff and more stuff. This is my seventh holiday season with children, and mine can’t pass a shop or see a commercial without mentioning what they want from Sinterklaas, whose sack of toys will arrive in just a few short days. My husband and I always try to be conscious of the items we own and would rather go without in order to save up for what we really need. We have tried to instill these values in our children, yet everything about this time of year conspires to stimulate the need for more, more, more. The problem is, I don’t want so much stuff! I’ve come to realize, through my personal and professional organizing, that the stuff is what gets in the way of the experience. Joshua Becker’s recent post “21 Surprising Statistics That Reveal How Much Stuff We Actually Own” on the blog “Becoming Minimalist” shocked me when I read number six on his list: British research found that the average 10-year-old owns 238 toys but plays with just 12 daily! That’s a lot of toys for one small child. Every year around this time I take inventory of all the toys my children own from Legos and Playmobile, to endless dress-up items, stuffed animals, puzzles, board games – the list goes on. Yet I know from experience that my kids spend most of their time role-playing; stuffed animals become “students” while playing school and blankets turn into boats or sleds when they glide over the floor. With the simplest of objects their fantasies run wild and they turn the everyday into the magical. So why do I still feel the need to fulfill their wish lists from the toy shop? I blame Disney and motherly guilt. Earlier this year we took our daughters to Disneyland Paris for the “Princess” experience. On our last day the girls were given a budget and allowed to purchase their souvenirs before we headed home in the car that evening. I was still buzzing from our adventures and feeling the joy of parental success when my youngest woke up from a nap in the backseat. I shared with her how much I had enjoyed our days together at Disneyland, and asked, “did you have a good time, too?” My daughter, said “No, because I didn’t get the hat I wanted.” I was crushed – we had refused to purchase a Rapunzel hat with flowing hair because she had already fulfilled her Frozen obsession with an Elsa doll. But in that moment, as ridiculous as it sounds, I felt like a failure, even though logically I knew that she had indeed had a good time and the hat hadn’t ruined everything. Of course not. The experience will long remain in her memory over the non-purchased hat. But how easy it is to fall into the trap of believing that stuff will make you happy, that the stuff is what matters. There will be no “wants” this gift-giving season, only “needs”. Why can’t we gift the everyday, like new toothbrushes or a new scarf and glove set? Isn’t the mere fact that there is a wrapped package in Sint’s sack or under Santa’s tree exciting enough? Things must go out before they come in. 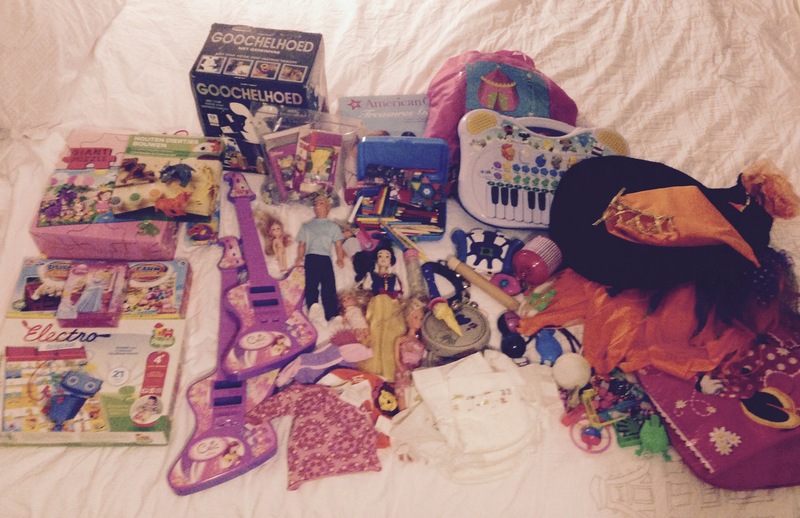 I spent last Saturday afternoon with my children sifting through their toys and possessions. We discussed how we out-grow some toys or how we no longer find them fun to play with. I was amazed at the “out” pile they created and I hope they understood my message of less is more. We won’t accept every party invite. Sport clubs, school, work, friends and family will all host their own events. Attending every party oversaturates the holiday experience, and as much as we want to celebrate with all the people who are part of our lives, it’s not always possible in such a compressed period of time, and that’s okay. Children (and over-stressed parents) need moments to simply relax and recharge, even in the midst of this busy time. Less things and more experiences. Movie tickets, museum outings, ice skating, these are all things my children love to do and can take for granted that we will do. This year Sinterklaas and Santa will be giving them homemade coupons to trade for these gifts of experiences. We told our families. With several aunts, uncles and grandparents our children often receive a large mountain of gifts even if each relative buys just one. We’ve done our best to explain our philosophy with the extended family this season and request that they gift things our children need or can experience. I’m sure this season won’t be perfect-there will be overstimulation, and tears, and gifts not received or not appreciated. Kids are kids, and the holidays are always messy and beautiful at the same time. 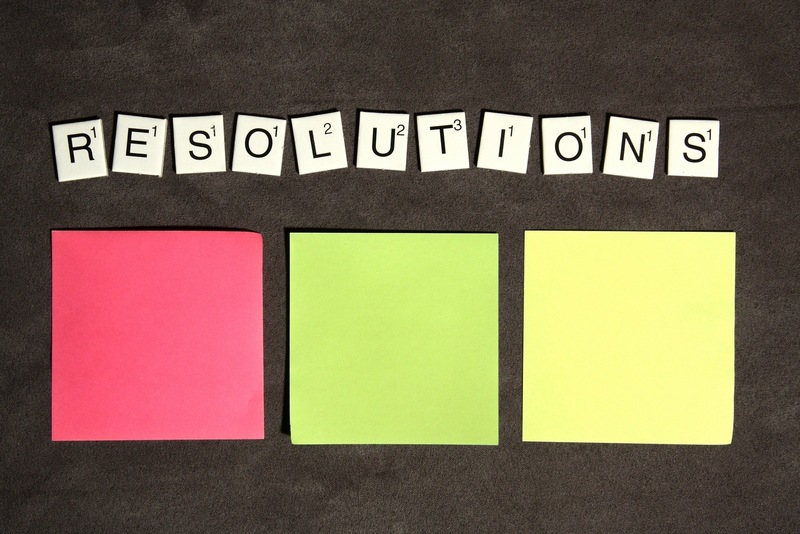 But I believe it’s never too late to change and strive for a greater level of experience and understanding, to adapt a new way of “giving” or set it as a resolution to sort through and reduce the clutter in the New Year. So whatever way you choose to “gift” during the holiday season I hope you’ll join me in taking the time to think about what truly makes your own experience of the holiday season as special and wondrous as it can be.